Doctor Phillips, Florida is a place name that almost all Orlando citizens recognize, but many people in the rest of Florida have never heard of. Only a generation ago, Doctor Phillips was a lonely outpost among the orange groves southwest of Orlando at the intersection of Sand Lake Road with Apopka-Vineland Road. Most people knew that Doctor Phillips was named after a man, but didn't know much about the man. When construction began on Walt Disney World in the late 1960s, the area was still orange groves and wetlands. During the construction of Walt Disney World, a group of Disney workers labored in Doctor Phillips's old citrus packing plant in fastening the artificial leaves onto the artificial limbs of the Swiss Family Robinson tree. That was about the only game in town back then. It was clever use of a large building that was no longer being used. Now the unincorporated area around Doctor Phillips is as big as many Florida towns, with a population of about 10,000. It is on the edge of Universal Studios Florida, and enjoys quick access via Sand Lake Road to I-4 and International Drive. It is a modern place, with beautiful shopping malls, plenty of great restaurants and is surrounded by upscale residential communities. The entire area from Apopka-Vineland Road east to I-4 is now called "Restaurant Row" by locals. The sprawling upscale neighborhoods in this area have no trouble supporting their local Whole Foods and Trader Joes along with the familiar Publix brand. How Did Doctor Phillips Florida Get Its Name? 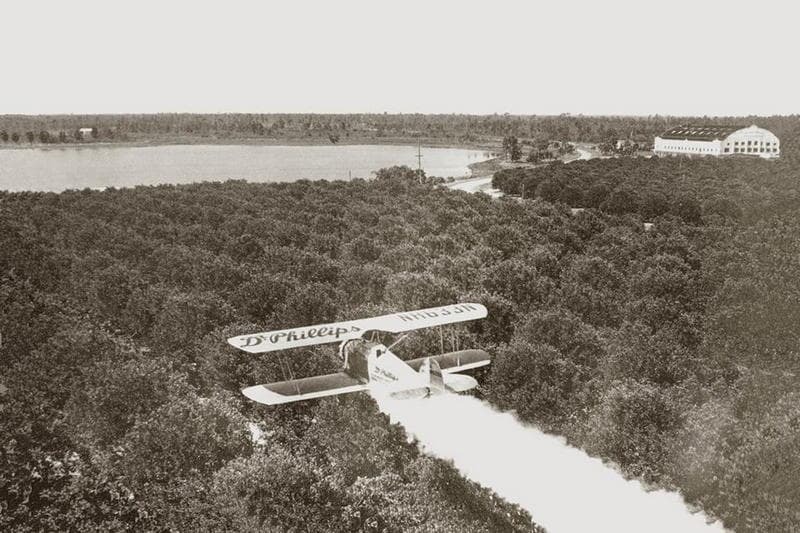 The area is named for Dr. Philip Phillips, an early big-time Central Florida citrus grower. 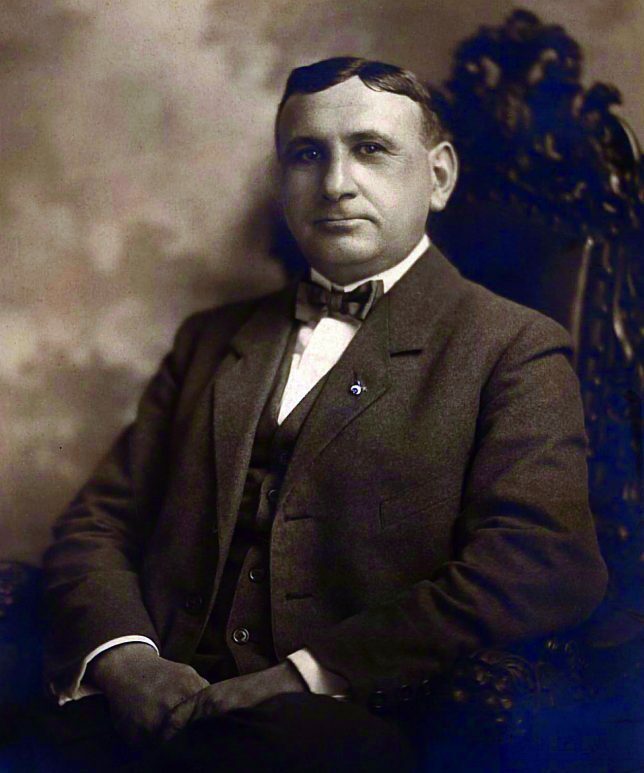 Dr. Phillips was born in 1874 and died in 1959. He had a medical degree from Columbia University, and at one point owned more than 5,000 acres of citrus groves around Orlando. Dr. Phillips developed many successful techniques for the processing and packaging of orange juice. His thousands of acres of groves stretched across nine Central Florida counties. His land in the area now known as Dr. Phillips extended from Conroy Road on the north to the south end of the Sand Lake Chain of Lakes. His holdings included what is now Arnold Palmer's Bay Hill Country Club, Orange Tree, Sand Lake Hills and Turkey Lake. After he sold his groves in 1953, he became a benevolent philanthropist. His donations are still enjoyed and appreciated by Orlando area residents. If you are visiting Orlando, you can stay at Dr. Phillips's house in the historic downtown area. It is now a bed and breakfast inn. You can also enjoy a performance at the nearby Doctor Phillips Center for the Performing Arts that opened in downtown Orlando in 2014. Flame Kabob has become my go to place in Orlando when I have a craving for Mediterranean food. I have never been disappointed when the urge overcomes me to partake of kafta kabob, shish tawook, fried kibbeh or any other of dozens of favorites. The restaurant is in a small building that is part of a Publix shopping center just north of Sand Lake Road (restaurant row) on Dr. Phillips Boulevard. It is next door to a Subway sandwich shop, but the food at Flame Kabob bears no resemblance to the fast food sandwiches (although they have sandwiches, too). 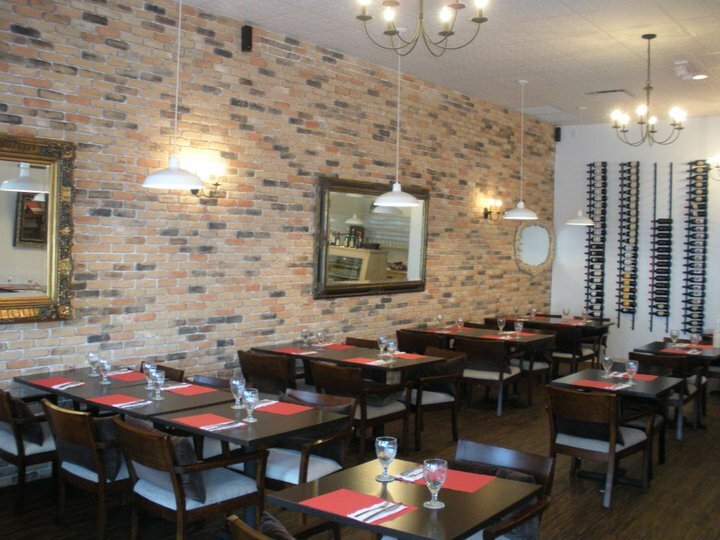 The interior consists of one moderately sized dining room with several booths and tables. Fine upholstery and linen tablecloths set this place apart from its fast food rivals. And the food is as good as it gets, at least in my experience. Appetizers include Mediterranean favorites like falafel, hummous, baba ghannouge, grape leaves, ful madammas, mazza, labneh, friedk ibbeh and fatayer spinach. Entrees are just as delightful, with kafta kabab, shish tawook, shish kabab, gyros, chicken shwarama, meat shwawarma. leg of lamb, lamb couscous, chicken couscous and vegetarian couscous. They also have musakkaa and lamb chops and a large selection of salads. Their red snapper and grilled salmon is also delicious. The family that runs this restaurant also owns Jerusalem Restaurant on Vineland Road in the Kissimmee area out near Walt Disney World. Another great place for Mediterranean food. For the dessert fan, you will enjoy their baklava, knafeh nabulsia, kataifi, basbusa and rice pudding. Dining is inside or outside under a canopied patio. No alcohol is served, but a variety of drinks are provided including ice tea. 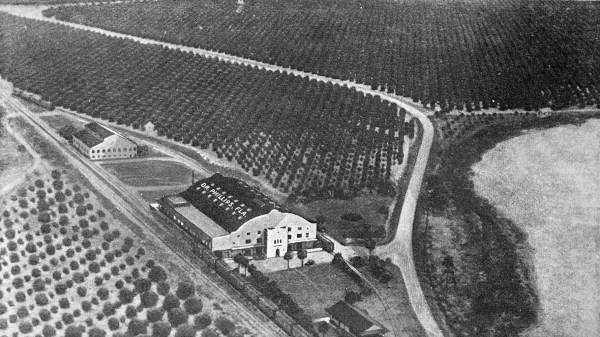 Doctor Phillips was at one time the center of the citrus industry in central Florida. Although most of the groves have disappeared in the past generation or so, they've been replaced by plenty of good restaurants. Saffron Indian Cuisine is one of them. It is located on the so called "Restaurant Row" along Sand Lake Road between I-4 and Apopka-Vineland Road. Saffron is in an unpretentious store front in a modern shopping center known as Plaza Venezia on the south side of Sand Lake Road. It has a couple of tables on the sidewalk outside, but the cozy and intimate decor of the interior makes you want to stay inside and chill out. The dining room atmosphere is great, with dim lighting just right, polished wooden tables and lots of candles glowing here and there. As I always do when dining in an Indian restaurant, I fell into my familiar rut of having Chicken Tandoori. This is chicken that is marinated in yogurt and cooked at very high temperatures in a large clay pot or oven. It was delicious and plentiful. I complemented the meal with a nice glass of Arnold Palmer Chardonnay. Arnold is the golfing icon who owns Bay Hill Golf and Country Club just down the road from Saffron. The meal was accompanied by some great Indian bread (naan) and various chutney sauces. All were delicious and more than enough for a hungry diner. As I looked around the dining room, I noticed quite a few Indians. Not of the Native American variety, but people that looked like they might have come from India. This is always a good sign to me when I eat in an Indian restaurant. Entrees at Saffron include the Indian dishes that most of us are familiar with, including Chicken Tikka Masala, Samosas, various kabobs, Lamb Korma, Tandoori Chicken Wings and crab cakes. Most meals are served with delicious white rice. One of my favorite appetizers at any Indian restaurant is Mulligatawny Soup; this is a spicy concoction based on lentils and is very tasty. Try Saffron Indian Cuisine when you have finished your day exploring the backroads of Central Florida and trying to avoid the massive theme park traffic. This is just far enough away from all the frantic action to be peaceful and relaxing.